Another device from Tecno has been released again which is Tecno Camon C9 Pro, this phone is really confirm, I don’t even know what to say about it because the phone spec is really great than other phones, I will advise any one who want to buy confirm phone now to go for Tecno camon C9 Pro. But Smartphones are just coming out this season. Well that is great… different company like Infinix, Tecno, huawei will like to update their fans with another latest brand of Smartphone. Tecno C9 Pro has 3GB of RAM and 32 GB internal storage. Besides those extras, everything else is the same, including the two 13 megapixel cameras. Now let me show you the specs of this Smartphone and confirm it that it is a great device. 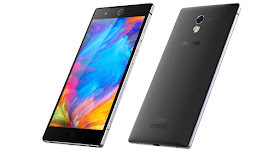 TECNO CAMON C9 PRO FULL SPECIFICATIONS. Now that is the full specs above, I will update you when the price is officially announced.